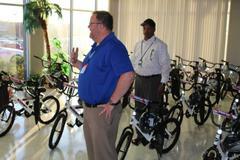 Academy Sports makes Christmas a little brighter by providing bicycles to area youth. 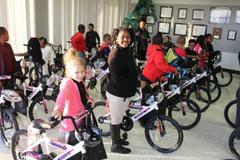 Through a partnership between the Jackson Police Department, Academy Sports, and the Hub Club, some area children will have a little brighter Christmas. 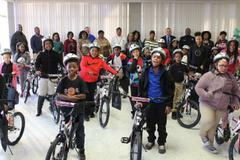 On Monday, December 17th, Academy Sports provided area kids, who participate in the Hub Club, with brand new bicycles. 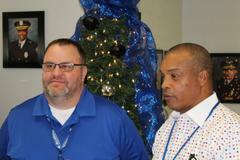 "This was an excellent opportunity to see a child smile," said Captain Tisdale. The Jackson Police Department appreciates Academy Sports for including this agency in this giving back opportunity. The Jackson Police Department is also grateful for the partnership between this agency, Pastor Ronald Benton, and the Hub Club. The Jackson Police Department looks forward to opportunities to build positive and meaningful relationships.